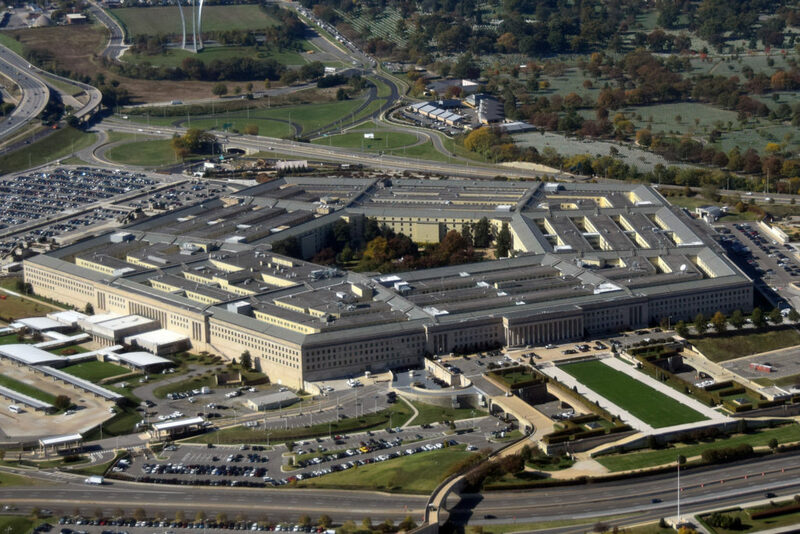 In an effort to prevent non-defense cuts, House Democrats grant the DOD exactly the raise it wanted. 4 Apr 2019 – In budget negotiations this week, congressional Democrats seem to have brought knives to the Republican gunfight. This time, the issue was defense spending. The Democrat-controlled House Budget Committee voted 19-17 Wednesday to move a bill sponsored by Chairman John Yarmuth (D-KY) out of committee. Called the “Investing for the People Act of 2019,” it’s essentially the Democrats’ answer to Donald Trump’s radical budget proposal from early March. As expected, the legislation gives the Pentagon a raise. The Trump budget proposes a fundamental re-configuration of America’s spending priorities. It seeks a whopping 9% cut overall in non-defense or NDD spending (NDD stands for “non-defense discretionary “ spending), while seeking a 5% increase in defense spending. Trump wants to reward the Pentagon for flunking its first-ever audit last year by giving it a fat bump — from a record $716 billion to new record of $750 billion. Meanwhile, Trump hopes to slash non-defense spending from last year’s $597 billion figure to $543 billion this year. As reported by Rolling Stone a few weeks ago, the early word on the Hill was Democrats were not planning to seriously oppose the hike in Pentagon spending. Instead, the strategy would be to try to negotiate with Republicans to raise non-defense spending, basically by surrendering on the question of a defense hike. This turned out to be true. In fact, the Yarmuth bill sets defense spending at the same level – $733 billion – that Pentagon officials like then-Defense Secretary James Mattis were asking for at the end of last year, before Trump told them to ask for a bigger raise. As recently as last December, Democratic members like Armed Services Committee chair Adam Smith (D-WA) were mocking the $733 billion number. Now, in the Yarmuth budget bill, $733 billion is the Democrats’ opening offer to the Pentagon, made in an effort to prevent Trump and the Republicans from slashing non-defense spending. Trump’s 2020 budget proposal made a joke of the 2011 Budget Control Act, which essentially forced Congress to raise and lower defense and non-defense spending together through a series of caps. This concept is known as budget “parity.” Roughly speaking, defense is supposed to be capped at around 53-54% of discretionary spending, and non-defense is supposed to get the rest. The Pentagon has always been able to get around even those generous caps through a number of loopholes, particularly with Overseas Contingency Operations or “OCO” spending. Often called “war funding,” OCO budgets technically don’t count as defense spending, even though they are. To make his defense-hike/non-defense cut strategy work under the Budget Control Act, Trump this year had to propose a massive hike in OCO funding, going from $69 billion last year to $165 billion this year. The Democratic bill proposed by Yarmuth seeks to “adhere to the principle of parity” by once again linking defense and non-defense spending. This is not necessarily a bad idea, but with control of the House, one might have expected at least a symbolic effort at reducing a defense budget number that even Trump last year called “crazy” (before he changed his mind). Instead, the vote Wednesday all but assures next year’s defense number will set a new record. The committee vote included some surprising names among the yays, including Barbara Lee, best known for being the brave congresswoman who cast the only no vote for George W. Bush’s invasion of Afghanistan in 2001. The issue is not without controversy. Some Democrats believe it’s more important to keep non-defense spending from falling than it is to cut the Pentagon budget. The deal in place seems to have been made with the aim of mollifying key donors from the defense industry, and perhaps win some bipartisan support for raising non-defense spending. Others see it as the latest example of a negotiating strategy that has failed Democrats in the past. Matt Taibbi is a contributing editor for Rolling Stone. He’s the author of five books and a winner of the National Magazine Award for commentary. Please direct all media requests to taibbimedia@yahoo.com.